In the spring of 2005, a local singer and a highly respected music director discovered that they shared a dream--a dream of a volunteer choral group in which talented singers have the opportunity to perform challenging music for as many individuals as possible. With the encouragement and assistance of the Arts Council of Central Louisiana, contact was made with a local clergyman--a newcomer who had been a member of just such a group in another state and who was anxious to have a hand in establishing a fine choral group in Central Louisiana. A preliminary Board of Directors was formed, consisting of some of the finest musicians and community leaders in the area, and the dream was on its way to becoming reality. The Board determined that such a selective choral group would fill a void in the otherwise healthy arts community and would invite a strong response from both singers and audiences. The first Chairperson of the preliminary Board was Colleen Texada, a singer and community volunteer, and the first Artistic Director of the Chorale was Fred Graham, then the Music Director at St. Francis Xavier Cathedral in Alexandria. After a summer of intense planning, auditions were held in August, 2005. The desire for such a group was evidenced by the eighty-plus singers who auditioned for the forty available positions! Rehearsals began immediately in the choir room of the cathedral. The first concert of the Red River Chorale, "Music for the Soul," was a sell-out. It featured the unique and challenging work, "Missa Kenya" and was presented in October, 2005, at the cathedral. During the first concert year, the Chorale presented two other concerts--a Valentine's Day dessert cabaret in two seatings, and a performance with the Rapides Symphony Orchestra of Mozart's "Requiem." During the next year, the Board developed the By-laws necessary to qualify for 501c3 tax-exempt status, a necessary step to enable the new group to accept tax-exempt donations and grants, vital components, along with ticket sales, in the financial stability of any non-profit arts group. 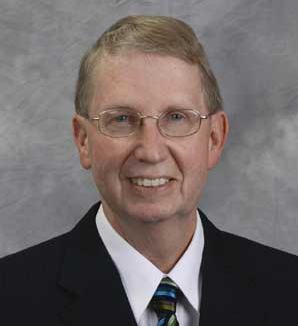 After two seasons, Fred Graham took a music position in Little Rock, Arkansas, and the Chorale was fortunate in hiring as Artistic Director Dr. Burt Allen, Coordinator of Choral Activities at Northwestern State University in Natchitoches. Dr. Allen is in his eighth year as Artistic Director, and today's successful chorus is largely credited to his fine leadership. Over the years, Mrs.Texada was followed as Chairman of the Board of Directors by Bishop Ronald Herzog and Fred Alexius. The Chorale has performed an average of four concerts per year--for a total of over thirty-six concerts--including a number of concerts with the Rapides Symphony Orchestra. Its current membership includes about forty auditioned singers, including many who travel considerable distances for rehearsals and performances. As the Red River Chorale enters its fourteenth concert season, it is clear that it is firmly established in the Central Louisiana arts community. It provides an opportunity for talented singers, both professional and amateur, to sing with a group of like-minded musicians. It also provides the opportunity for the community to hear excellent choral music, often paired with professional instrumentalists, which has not been available in the past. 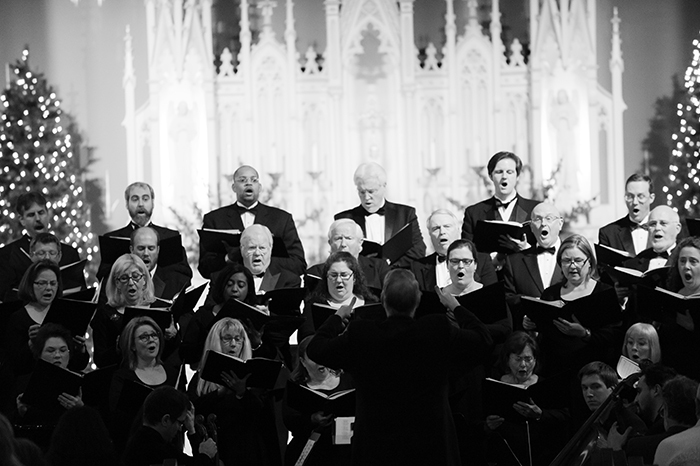 Through tax-exempt individual donations, ticket sales, and grants from a variety of sources, the Red River Chorale expects to remain a vibrant member of the arts community of the Central Louisiana area. Donations to the Red River Chorale are always welcome and are greatly appreciated. All donations are tax deductible, and all donations of any size will be acknowledged in the concert programs. Copyright © 2019 Red River Chorale. All rights reserved.